Standard Bank Joy of Jazz took inspiration from the long history of sisterhood that bound generations of women together throughout the struggle against oppression. 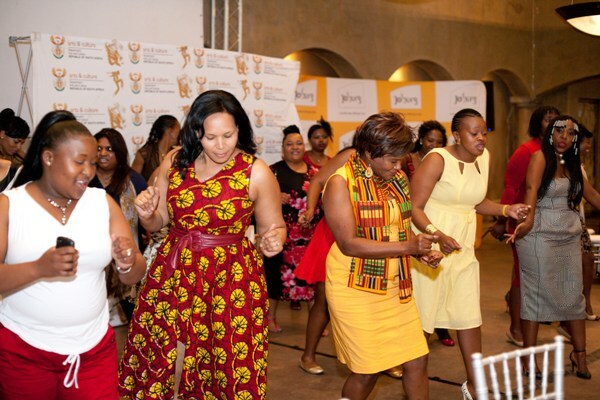 This August, as the nation observes Women’s Month, On August 16, 2015 Standard Bank Joy of Jazz brought together women in the arts for a day to reflect, share, pray and celebrate each other. “There is a deep rooted connection between women and art, hence we found it fitting to celebrate women’s month in this way. The daylong event was titled Celebrating a Woman’s HeART. It focused on creating circles of healing amongst the gathered women, as they share their stories of joy, challenges and triumph with each other,” said Chinoamadi, Producer of Standard Bank Joy of Jazz. Throughout the day, singers, writers, dancers, actors, fashion designers, presenters and painters were pampered and treated to a great lunch, gifts and messages from inspiring speakers. Standard Bank Joy of Jazz aimed to honour and celebrate not only the lives of the millions of talented women who continue to ascend to the stage to soothe us with their song, but those mothers, wives and partners who continue to make a home to nurture the many geniuses who create the music we call jazz. The day also celebrated the story of those women who’ve been touched, cushioned and strengthened by song throughout the long struggle for freedom and a better life. Standard Bank Joy of Jazz will take place at the Sandton Convention Centre on four stages - the Dinaledi, Diphala, Conga and Mbira from 24-26 September 2015.